I am really excited about the new Mac OS X Lion 10.7 that is coming in July to the Mac App Store for just $29.99. So what is new? 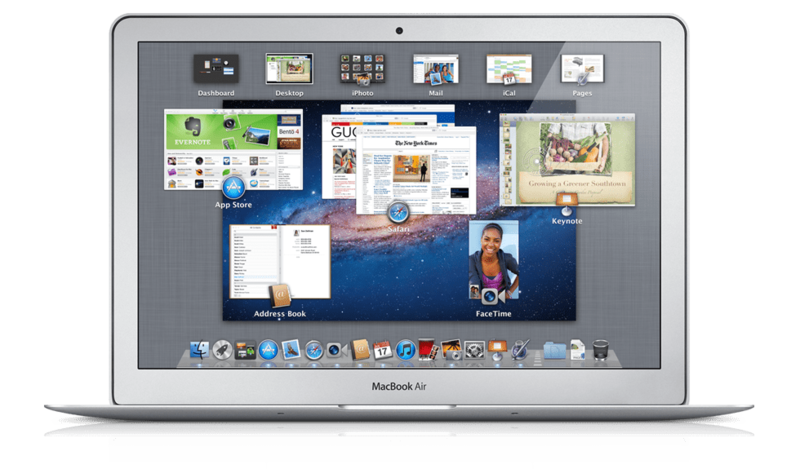 The Mac OS X Lion 10.7 has over 250 new features such as Multi-Touch gestures, Mission Control, full-screen apps, and Launchpad. With so many new features, everyone should be excited about it. Features such as Multi-Touch helps you interact with your Mac in greater depth such as full-screen swiping and image zooming. With full-screen apps, you to take advantage of the whole Mac display for your apps. It’s easy to switch from full-screen to desktop view and vice versa. The full-screen apps feature is very similar to iOS, as are many of the new features on Mac OS X Lion. You really get immersed in your apps when it is in full-screen. Mission Control gives you the ability to have full-screen apps, Dashboard, ExposÃ©, and Spaces all under your fingertips. With Mission Control, you have a bird’s-eye view of everything. It only takes one three-finger swipe to show Mission Control. Launchpad is one of my favorite features. It really brings the iOS feel to your Mac display. Just click the Launchpad icon on your Dock and your Mac display is replaced by a full-screen of all your apps on your Mac. You can organize and arrange them however you like, just like you could on your iOS device. When you download an app from the Mac App Store, it goes straight to Launchpad. Resume is very self-explanatory. You can now close your apps and reopen them and they will look exactly as you left them. You can restart your Mac and open your apps and they will be the same as before you restarted your computer. Auto Save is also self-explanatory. Your work automatically saves your work so you don’t have to worry about forgetting to save your work and having to start over. Versions is a feature that allows you to chart the history of your documents and place it on a timeline to compare them side by side with your latest version. You can see how much you improved your documents. AirDrop is a very useful feature that allows you to share files with other AirDrop users that are within about 30 feet of you. You don’t need a complicated set up or internet, just drag the file onto the person’s name and once accepted, the file will begin transferring. Mail is getting a huge upgrade. Mail takes advantage of the full-screen and includes a message list on the left that also includes snippets of the message. You can also search for messages with ease. Lion Server now has a Server app that helps assist you in turning your Mac into a server. Profile Manager allows you to manage all your Macs, running Mac OS X Lion of course, and iOS devices. Mac OS X Lion definitely has many improvements that everyone has been looking forward to. What features are you looking forward to the most? Resume – maybe be a problem. Sometimes I quit and app because I want to start over. Will there be a way to do that once I quit an app can I really QUIT an app?? Mission Control, New Mail, File Vault 2….Too many. OK they all seem great!!! Yes. You can turn resume on & off. I agree, Resume can be nice but also a pain at times when I want to start over! @Ben, thanks for the clearing up we can turn resume off.